Community involvement and support is key to the success of CYS programming. 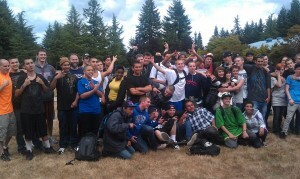 Photo courtesy: Community Youth Services. Youth and parents with mental health or chemical dependency issues will benefit from grants awarded by the Thurston County Commissioners. Commissioners recently approved $246,000 in Treatment Sales Tax (TST) funds for five community organizations located in Thurston County. To qualify for TST funds, organizations must use evidence-based or promising practice tools that have consistently demonstrated their effectiveness in helping people with substance abuse or mental illness challenges achieve their goals. TST Community Grants are one-time awards with no guarantee of future funding. Monarch Children’s Justice and Advocacy Center – Children’s Therapy Program will provide specialized, evidence-based, sexual abuse mental health therapy services to victims of child sexual abuse and their affected, non-offending family members. The funds will allow the program to continue to reduce the wait list and provide one-on-one treatment sessions for post-traumatic stress disorder. Community Youth Services, a state certified community mental health agency, will serve homeless young adults ages 12 -24 who are chemically dependent, mentally ill or who are coping with co-occurring disorders. Programming will focus on young people accessing the Rosie’s Place drop-in center, with a goal of engaging youth who are not yet connected to case management or other treatment services. Family Education and Support Services will provide the program Parenting Inside-Out, an evidence-based parenting skills program for incarcerated mothers and fathers with mental health and substance abuse needs. Heart Strides will provide Equine Assisted Activities and Therapies and Peer Support to teach positive youth development, overcome barriers, and reduce problem behavior for youth ages 12-17 with mental health or substance use needs who are involved in Thurston County Juvenile Court. 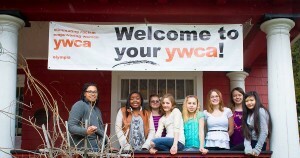 The YWCA of Olympia will offer cross-system, gender responsive, and trauma-informed models of mental health and chemical dependency treatment for young women ages 12-17 who are in detention, diversion, or at risk. Washington State law allows counties to collect a 1/10 of 1 percent sales tax to fund enhanced and expanded chemical dependency and mental health treatment services, and for therapeutic courts. Thurston County has collected this tax since 2009. The Treatment Sales Tax (TST) is an important local funding stream that works alongside federal and state funding, such as Medicaid, to meet mental health and substance use needs in Thurston County. Through reduced justice involvement, emergency room use, health care costs, and public assistance and increased earnings, TST programs save our community approximately $4 for every $1 spent. You can find more information at http://www.co.thurston.wa.us/treatment-tax/docs/tst-overview.pdf.